Calvin. . 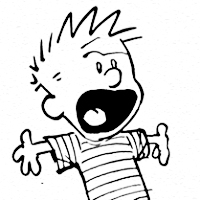 Images in the Calvin & Hobbes club tagged: calvin and hobbes calvin bill watterson comic icon. This Calvin & Hobbes icon might contain anime, grappig boek, manga, cartoon, and stripboek.